Tablas Creek Vineyard Wine Tasting. Up in the rolling hills amongst the ancient oaks in western Paso Robles lies one of the proginetors of the California Rhone Wine movement. Spearheaded by the iconic Chateau Beaucastel of Chateauneuf du Pape fame. Tablas Creek Vineyards makes amazing rhone style reds and whites from cuttings from the family vineyards in France. 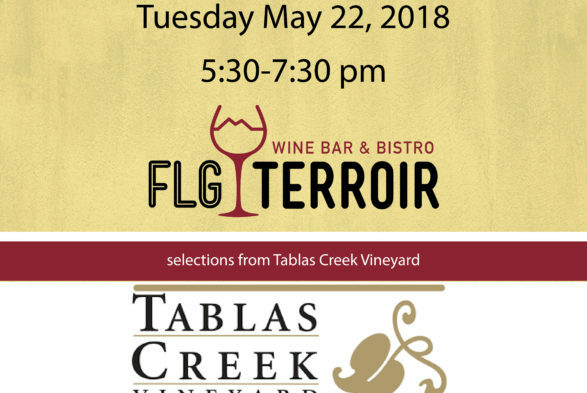 We are very happy to bring you a tasting of these wines on Wednesday May 22nd at 5:30pm. Tickets are only $5 and are available at the door.